What does the youth group do on a Sunday Night? A typical Sunday night looks like this: announcements, games, worship, a brief message, and then we break into small groups to go over the message. 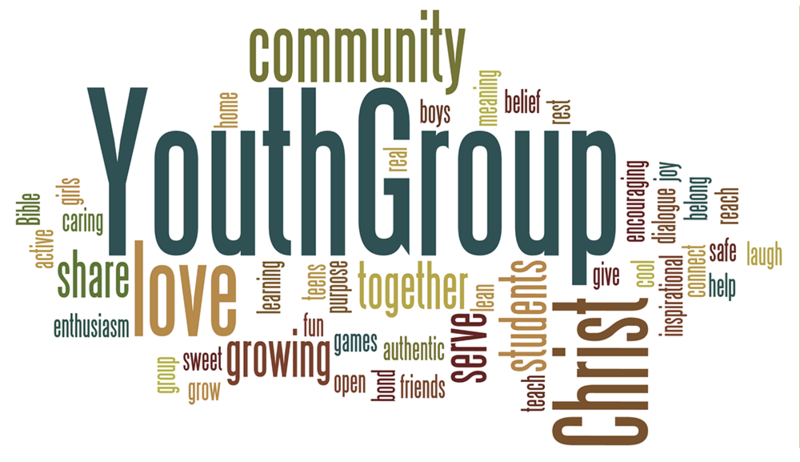 Why is it important that parents and church people know what we are talking about in Youth Group? It is important for them to know so that they can be praying for the students, asking God to work in their lives. As a parent, this also gives you an opportunity to ask your teenager specifically what they learned that night. Knowing what we are talking about will also give anyone that is building a rapport with a student a chance to speak to them about what they are learning. We started a new four-week series on Faith, specifically Grace and how it is crucial to your Faith. Last Sunday we unpacked what Grace means and what Faith means and then we dove into how Grace does impact your Faith. During this study I have seen God work in my own life. God's Grace is something given to us even though we do not deserve it. We have never earned it, nor will we ever be able to earn it. John Stott defines it this way, "Grace is love that stoops and cares and rescues, " and I would like to add even though we don't deserve it. Stop and think about this definition for a minute. Who stooped down for us, cared for us, and rescued us? Jesus did, and not one of us deserves this sacrificial act! This term and the power of its meaning brought me often to my knees this week, and I pray that it impacts the youth and you in the same way that it impacted me. Grace is essential to our Faith (our trust, or belief in God) because there will be times in our lives where we may have doubts, there will be days when life is hard, and we begin to think, "Does God love me?" It's at this time when God steps in and reminds us of His Grace. He saved us from our sins, and Hell, even though we don't deserve it. He sacrificed His only Son so that we could be saved. If we can remember God's Grace in our doubts, fears and hard times, then we will remain strong in our Faith. Ephesians 2:8-9: "For by grace you have been saved through faith. And this is not your own doing; it is the gift of God, not a result of works, so that no one may boast."